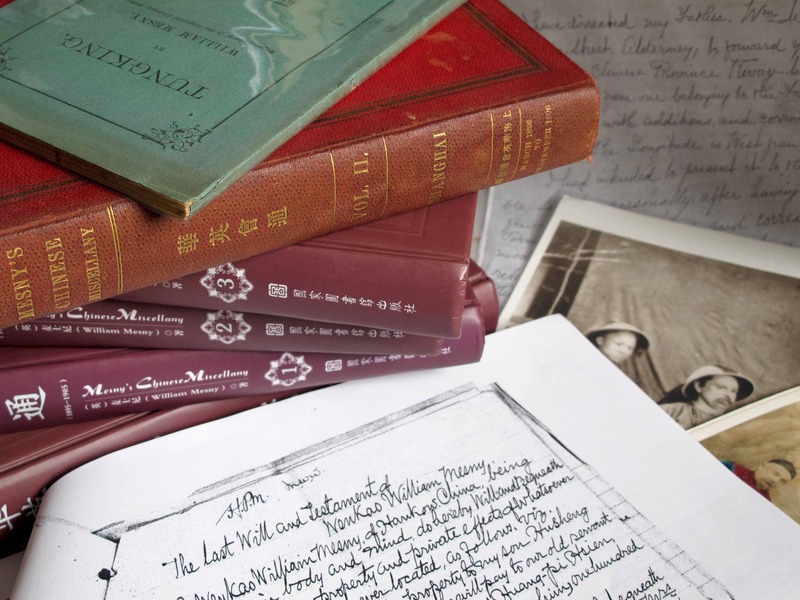 The biggest single source of information for Mesny’s life are his own writings, especially the four-volume, 2000-page Mesny’s Chinese Miscellany, published between 1895 and 1906. Aside from thousands of random articles on Chinese subjects, the Miscellany sketches in Mesny’s childhood and time at sea (1842–1860), before focusing in-depth on selected episodes from his first fifteen years in China (1860–1875). 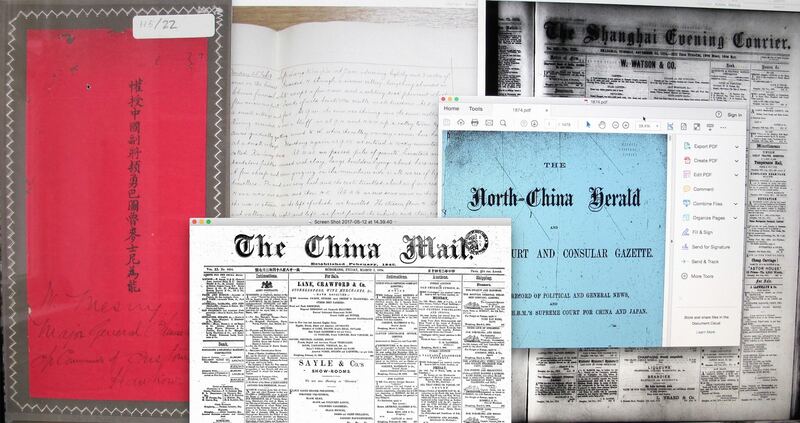 Further accounts of his campaigns against the Miao and Muslim rebels in Guizhou (1869–75) are covered by articles written at the time for the Shanghai Evening Courier. 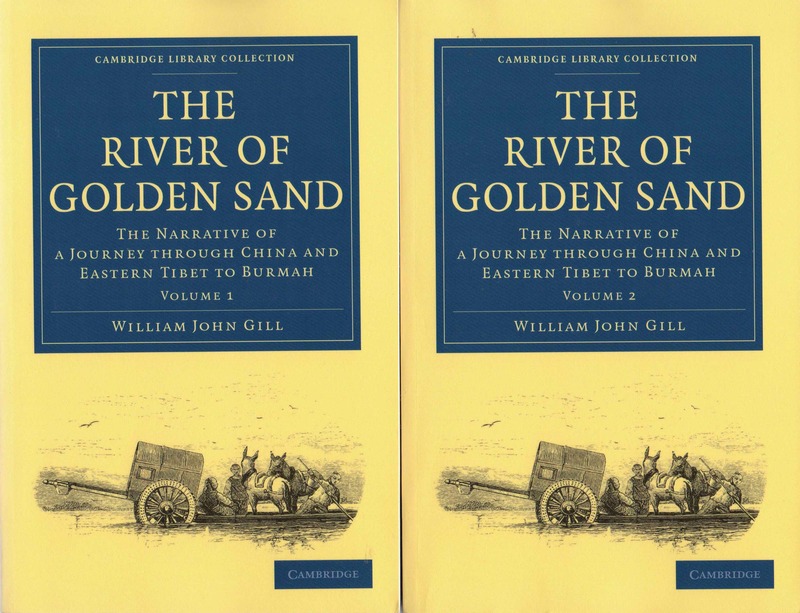 Mesny never said much about his trip to Burma with Gill in 1877, but his five-year-long circuit around China, and subsequent meanderings along the south coast (1879–1885), is given almost day-to-day treatment in his travel journals (held by the Royal Geographical Society), and in pieces he wrote for the China Mail and North China Herald. There’s also Mesny’s short history of Vietnam, Tungking (1884), plus odds and ends in various archives: letters to the trading firm Jardine Matheson; notes on a research trip to Anhui province for Shanghai’s Famine Relief Committee; his calling card and Will; not to mention several photographs. Despite some intriguing gaps (especially details about his youth at sea), and the fact that Mesny’s personal accounts mostly dry up after he settled at Shanghai around 1885, I was extremely lucky to have so much autobiographical material to work with. Not that finding and putting it all together was easy. Copies of the Miscellany are rare collector’s items: in 2016, the first two volumes alone sold for US$2750 at auction. But fortunately for me, a Canadian descendant of Mesny’s sister had spent years compiling a digital version from photocopies, which he generously sent to me very early on in my research, free of charge. In 2012, the National Library of China published a full facsimile set, which I bought; I also found an original of volume two for sale at a low price online. Mesny’s booklet Tungking can be downloaded for free from the Internet Archive (archive.org), and again I managed to pick up an original copy along the way. So I had all the newspapers I needed, but there was still the problem of identifying unsigned articles by Mesny (though he sometimes used the pen-name “Pioneer”). Fortunately, he had a knack of being in places where other foreigners seldom went: once I had managed to reconstruct a timetable of his travels, it became possible to flag up Mesny as the likely author for pieces written from obscure locations at exactly the same time that he was in them. This was also how I managed to reconstruct his early pieces for the Courier (some of which were, in fact, signed “W.M.”): for example, there were certainly no other foreigners with first-hand knowledge of the Chinese military writing frontline reports from Guizhou during the Miao Uprising. Mesny’s direct style is also distinctive – uncondescending, sympathetic to ordinary Chinese and often very critical of ineffectual officials – as is his habit of cramming articles full of utterly unrelated topics. Aside from needing to fill in various gaps – including almost the entire period from 1885 to his death in 1919 – why look for other sources if Mesny himself had left so much material behind? Mostly because I wanted to know how reliable the Miscellany was as a record of late Qing-dynasty China. I couldn’t simply take Mesny’s word for it: even the most basic cross-checking showed that he was opinionated, able to get his facts wrong, was terrible with dates, and habitually obscured his motivations. He was also inconsistent, producing conflicting versions of several important events. The good news is that I never caught Mesny in an outright lie, but I do feel that his memory might have been faulty occasionally, that his opinions may have changed over time, and that perhaps he wasn’t above tweaking details to emphasise his importance at the centre of events. In other words, he was just like the rest of us. I also wanted to build a balanced picture of the man by finding out what other people thought of him. Birth and Census records aside, the earliest independent account of Mesny – and the only glimpse of his life at sea before arriving in China – comes from the Sydney Morning Herald of July 4, 1860, where Mesny was fined for kicking his bosun in the ribs during a dockside brawl. Government records at the Hong Kong Public Library also reveal that Mesny had worked as a prison warder there in the early 1860s (something he never mentioned himself), and had been fired. Later on, he occasionally surfaces in accounts by his contemporaries (such as Alexander Hosie’s Three Years in Western China, and the letters of the missionary David Hill, a family friend), but by far the best descriptions of the younger Mesny are in the private journals of William Gill (again at the Royal Geographical Society), who hired him as an interpreter and trouble-shooter during his journey across western China in 1877. These frank portraits make up for the fact that Gill barely mentions Mesny in the official published version of his travels, the two-volume River of Golden Sand. To reconstruct Mesny’s later life at Shanghai – aside from personal snippets he let slip in the Miscellany between 1895 and 1906 – I again turned to articles about him in the North China Herald. These chart the slow unravelling and decline of Mesny’s fortunes, beginning with some bad investment and property speculations, the notorious Mason Case, and Mesny’s subsequent falling out with the powerful statesman Li Hongzhang. After this, his Chinese business connections stopped dealing with him; he went bankrupt and began to make regular appearances in debtors’ court. By the time Mesny died in 1919 he was no longer a well-known figure, and had divorced his second wife and left Shanghai to take up a desk job in the provinces. What little I know of his final years is through his obituary, also in the NCH.